It often feels like I’m the last to know anything. Finally – after my colleagues’ holidays to Cornwall, France and Switzerland – I’ve found out just how good the Kodiaq is at going away. The answer, which came as absolutely no surprise, is that it’s great. 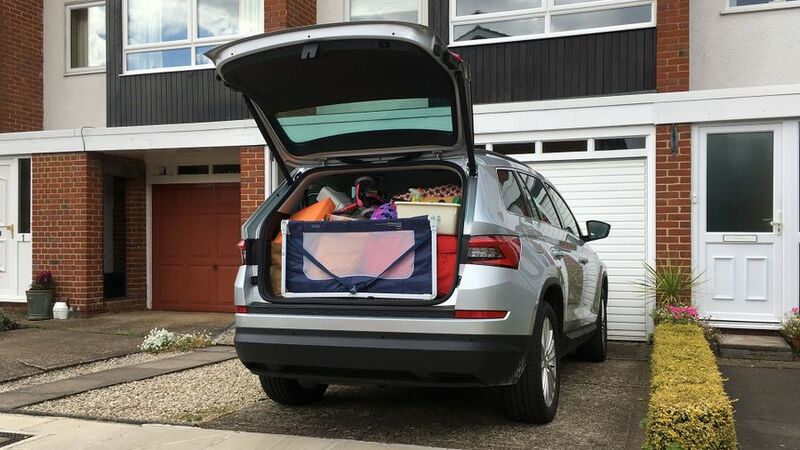 Mind you, going to Center Parcs really is playing to the car's strengths, as the Kodiaq is not only a great way to cover long distances, it’s also simply superb at moving a lot of stuff. That last part was crucial, as between my wife and myself, we’d managed to convince ourselves that we needed what seemed like half the contents of our house to keep our three-year old daughter happy, fed and watered for a week away. Happily, common sense prevailed, and we managed to slim the ‘Must Take’ list down a bit, but we still ended up with a massive pile of stuff that was apparently vital to the success of our holiday. May and three friends had taken less to mount an assault on Mont Blanc, but nevertheless, I started packing. Amazingly, it all went in: clothes, food, portable potty, pram, the lot. The beauty of the Kodiaq is not just that it’s big, but that it makes great use of every nook and cranny. Being able to squeeze all our daughter’s shoes in compartments under the boot floor was a massive help, as was having drawers under both front seats. Just as amazing was that the car’s diesel engine seemed blissfully unaware of the extra load it was hauling down the M3. It felt every bit as strong as it usually did, and the only way I could tell how much weight there was in the back was that the steering felt a lot lighter than usual. 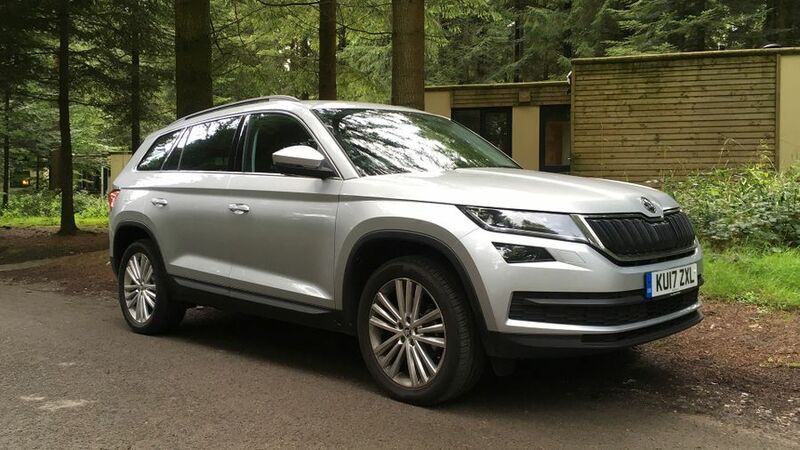 Certainly, our daughter was blissfully unaware of the scenery passing by her window, as she fell asleep almost as soon as we reached the motorway: testament to just how quiet and smooth the Kodiaq is at the legal limit on the motorway. What I was only too aware of, was a warning on the dashboard that told me the AdBlue needed topping up. This is an additive that helps to clean up the exhaust gases, but I decided it could wait until the holiday was over before I sorted it out. After all, I had some serious relaxing to do. Well, as much as you can ever relax with a three-and-a-half-year old in tow.